VIKING RULER (AUS) (Bay 1998-Stud 2003). Winner at 1800m, AJC Spring Champion S., Gr.1. Sire of 362 rnrs, 186 wnrs, inc. SW Red Ruler (Waikato RC International S., Gr.1), Court Ruler, Kroner, Aashiq, Vikja King, Eric the Viking, SP Innocent Lady, Pretty Vegas, Victory March, Nordic Duke, Measurement, Hastein, Powerful Ruler, Romany Princess, Fast Ruler, Tief and of Wild Bill, Get the Message, Final Drive, Godfreyson, Our Cannavaro, Hermione, etc. Beer Garden (g. by Aristotle). 11 wins from 1600m to 3250m, A$240,460, to 2014-15, 2d MRC Thoroughbred Club Cup H., Warrnambool RC Galleywood Hurdle, MRC Robert Hunter H., 3d Oakbank RC Somerled Hurdle, MRC Superior Food Services H.
Danger Tom (c. by Dangerous). Winner at 1600m, 2d MRC Let's Get Physical 2YO P.
Honourable Miss (f. by Honours List). 2 wins at 1200m, 1400m in Aust. Sir Tully (g. by Tuscanos). 2 wins at 1600m, 2000m in Aust. Valhalla Princess (f. by Viking Ruler). Winner. See below. Splitenz (f. by Chatline). Winner at 1000m in 2015-16 in Aust. Tuscan Valley (f. by Tuscanos). Winner at 1300m in Aust. Val Gardena. 2 wins. See above. Tuscany Hero. Winner at 2 in 2014-15 in Aust. Bedastdona. 2 wins at 1000m in 2015-16 in Aust. Spinning Waggon. 14 wins from 1200m to 3250m, A$187,975, Onkaparinga RC Von Doussa S/Chase-twice, AJC Sir Regent H., STC Leichhardt H., 2d STC Trans Tasman Hurdle, AJC Flinders H., SAJC Little Slam H., 3d SAJC Australia United Fresh H., Lotteries Commission H., Sunkist H.
Fast Spin. 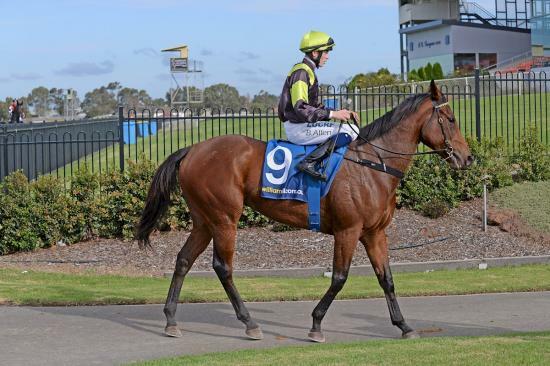 8 wins from 1350m to 2000m, BATC Bengalla Lad H., Michaels H., QTC Coca-Cola Tuckshop H., Brighton H., Bonnybel H., 2d QTC Tod Bay H., Maybe Lad H., Affectionate H., Tails H., 3d BATC Staffordtune H., Jacobs Creek H.
KAZZAKDENE (Kazakstaan). 9 wins-1 at 2-from 1200m to 1600m, Clairwood Port Natal H., L, Suntime Vitamin H., Milnerton The Big Four H., 4th Clairwood Christmas H., L. Sire. Western Bay (Zephyr Bay). 6 wins-1 at 2-at 1200m, VRC March Nursery, Baguette H., 3d VRC George Adams H., Gr.1. Sire. STAGNITE (Danehill Express). 5 wins to 1400m, A$218,325, to 2014-15, Bunbury TC Western Australian Breeders' Classic, L, WATC Tabtouch Home of Racing & Sports Betting H.
CONISTON BLUEBIRD (Scenic). Joint third on 2008-09 NZ 3YO Free H. (1601m+). 4 wins-1 at 2-from 1000m to 2400m, NZ$1,309,500, A$155,550, New Zealand Derby, Gr.1, AJC Wentworthville H., STC Nivea Visage H., 2d Wyong RC Magic Millions 2YO Slipper, STC Rosehill Gardens Event Centre H., 3d ARC Championship S., Gr.2, AJC Hyland Race Colours 2YO H., STC Creative Living Expo 2YO H., City Tatt's RC Better Bet With a Bookie H., STC Theraces.com.au H.
Race Record: 12 Starts 1-1-1 A$40,158. Winner at 1900m in 2015-16 in Aust.